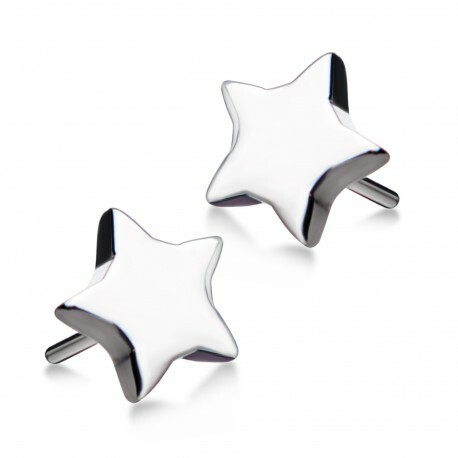 Titanium Threadless Star Top is made entirely out of Implant Grade High Polish Titanium Jewelry. Pressure fit. Sold Individually.